Planning for Festival of the Arts’ 50th year is officially underway, and now is the time to submit applications for performing during the three day event: June 7, 8 and 9, 2019. Planning for Festival of the Arts’ 50th year is officially underway, and now is the time to submit applications for performing during the three day event: June 7, 8 and 9, 2019. Interested parties should visit festivalgr.org and complete the application electronically or print and mail-in the forms along with the required application fee. Email [email protected] with any questions. Those interested in performing at Festival of the Arts must be a resident or have a member of their group be a resident of one of the counties in our region: Allegan, Barry, Ionia, Kent, Montcalm, Muskegon, Newago, or Ottawa County. Festival of the Arts remains committed to offering a wide array of entertainment from the artists that apply to be a part of the event and strives to represent every performing art style from rock bands, bluegrass, country, cover bands, jazz, gospel choirs, modern dance, Broadway, ballet, folk music, classical, acoustic and many more. Some of the past performers include Mustard Plug, JetBeats, Conklin Ceili Band, Grand Rapids Ballet, The Hacky Turtles, Hip Pocket, Holywarheads, Grand Rapids Jazz Orchestra, Trixy Tany, Grand Rapids Youth Symphony, Embellish Hand Bells, West Michigan Gay Men’s Chorus and many more. Festival 2019 will offer six main stages along with five returning Pop-Up stages. 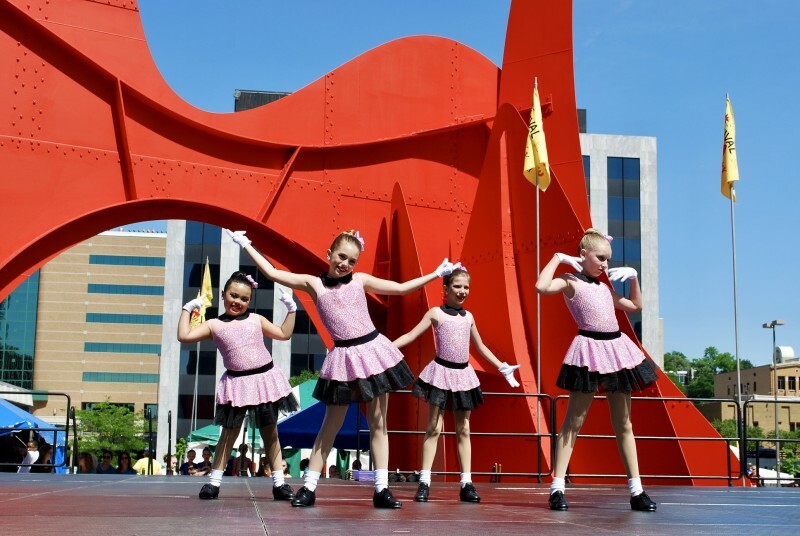 “The addition of the Pop-Up stages truly showcased the energy and vibrancy of the three day event with music, dance, poetry, and stage performance all throughout the festival” said David Abbott, Executive Director of Festival of the Arts. Festival of the Arts encourages those interested to apply soon since time slots are limited. Deadline for submission is February 15, 2019. Festival of the Arts welcomes and values diversity and anyone meeting the application requirements is encouraged to apply online.